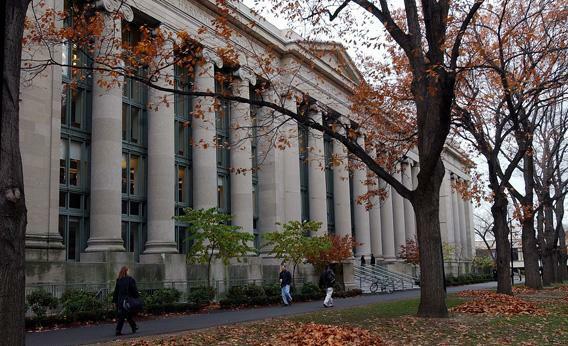 Harvard email search scandal: Can your employer read your private messages? In most cases, employees have little legal right to privacy. Pretty much. Court cases dealing with employer searches of employees’ electronic communication tend to ask two questions. The first is: Did the employee have a reasonable expectation of privacy? Usually the answer is no. Many employers require employees to sign contracts consenting to policies that explicitly state that the employer may monitor email accounts and online activities. (It’s smart for employers to have such policies in the event of lawsuits or trade secret violations. In a 2002 Massachusetts case, a judge found that an employer was required to search two employees’ emails after receiving a sexual harassment complaint about them, since companies must act when they discover potential harassment.) Even when employers don’t have explicit policies about email searches, employees don’t have a reasonable expectation of privacy when using work email accounts or work computers. The only case in which an employee might have a reasonable expectation of privacy would be if the employer explicitly stated that employees should have such an expectation. Even if you do have a reasonable expectation of privacy in your work email account, your employer still might have a case for monitoring it according to the second question courts ask: Does the employer have a good work-related reason for the search? Consider a 2010 Supreme Court case involving text messages instead of emails: A police officer in Ontario, Calif., had used his work-issued pager to send personal text messages, with the understanding, based on standard company practices, that his employer would not read them. His employer read them anyway, and the police officer sued. The court found that even assuming that the officer had an expectation of privacy, the employer’s reason for looking at the text messages—to find out why the officer had exceeded his monthly allotment of text messages—was a legitimate business-related reason for the search. Private employees have even less of an expectation of privacy than that particular police officer did. Government employees are protected against unreasonable search and seizure at work by the Fourth Amendment. For an employee to have a legal case against a private employer after an email search, the employer’s search would have to be not only unreasonable but also highly offensive, which is difficult to prove. What if you access your personal email account using an Internet browser while at the office? If you signed a contract in which you consented to your employer monitoring your Web activity on your computer, then you don’t have an expectation of privacy. If not, you have a stronger expectation of privacy. And the content of those emails matter: In a 2010 New Jersey Supreme Court case, an employee sent emails to her attorney using her personal email account on a work laptop, and her employer obtained copies of those emails from her hard drive. The court ruled that the employer had violated the employee’s expectation of attorney-client confidentiality. However, the ruling in this case doesn’t necessarily apply to other cases in which no expectation of attorney-client privilege exists. Even though your employer may monitor your personal email from your work computer, rest assured that they can’t access it beyond the office. The Stored Communications Act of 1986 prohibits your employer (and everyone else) from approaching your personal email network provider to obtain your emails. Explainer thanks Matthew Bodie of St. Louis University School of Law, Samuel Estreicher of the Center for Labor and Employment Law at New York University, and Hanni Fakhoury of the Electronic Frontier Foundation.